We’ve issued them following a suspicious incident involving a woman in Basingstoke last month. A 17-year-old was walking through Basingstoke town centre between 1pm and 2.20pm on September 20, when she was approached by three men. As she walked along Church Street, through the underpass on Timberlake Road and onto Mortimer Lane, one of the men put his arm around her. When she asked what he was doing he said that he was just walking with her. When she said she needed to go they guided her towards a large park and stopped next to a bench. The men walked off when the 17-year-old began to get upset. 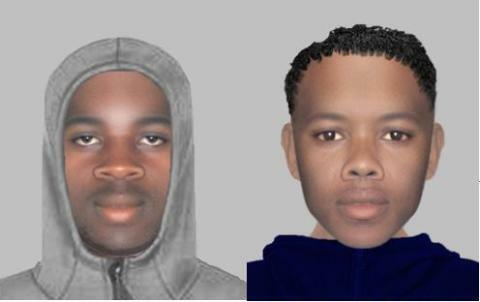 Following our investigations we are now in a position to release e-fit images of two of the men. The one who put his arm around the woman was wearing a navy tracksuit, with the hood up, is aged around 18 and between 5ft 8ins and 5ft 11ins tall. Did you see these men walking through the town centre? Do the images look like anyone you know?